From the moment you finished your training and entered private practice, you were thrust into the world of business. Remember that with few exceptions, medicine is a for-profit system and that put you, at that instant, squarely in this world. For many, this was unwittingly and unknowingly. For those of you in solo practice you were propelled directly up to the position of CEO, without a hint of training and maybe not even knowing what a CEO is or does. The only good news was you didn't have to spend a minute in the mailroom to get there. Business doesn't degrade medicine; it's the reality of how you get paid. A financially well run practice can be satisfying and stabilizing. It just requires some basic knowledge of finance and reaching out to competent, trusted advisors who can assist. More on that later. One statement we often hear is “Well, doctors are terrible at business”. In my opinion nothing could be further from the truth. Actually the financial challenge you have in medicine is considered by some business experts to be nearly insurmountable. Let me explain. One important tool to evaluate the health of a business is to look at the relationship of income to expenses. The least desirable situation would be when income goes down at the same time expenses go up. Look in any financial text book and the author will tell you to sell any business in this condition or would certainly advise you not to buy it. In truth, this scenario is often a reality in private medical practice and has been for some time. Yet you the “the terrible at business” physician has found ways to survive and, for many, prosper. Pat yourself on the back! This is an incredibly difficult task in the business world. I have often said it seems easier to get patients better than it is to get paid to get patients better. Anyone remember even a mention of this in school? The physician does not have to be reminded of the shear complexity of the AR with the volume of procedure codes and insurance plans. Combine that with a less than willing third party payer and you have a mind numbing challenge. One for only for a competent CEO. Give yourself another pat on the back for learning to survive. Additionally something else you may not have been taught in school but learned along the way -sometimes the hard way – was accumulating debt. Some physicians know instinctively to proceed with caution with any business debt even if it is presented as acceptable. Unfortunately this is often not the majority. Then the stark reality comes when you realize (but were told otherwise) that you will not pay this debt back “before you know it”. If I could pick one business course to be taught in med school, it would be debt management. Finally, let's touch on financial planning. While many physicians have been told that financial planning means investing, it is actually just one part of the planning process. On the subject of investments, as a general rule don't try to manage your retirement savings without a trusted professional's help unless you have a real and true understanding of the subject. One thing is for sure, you need a plan. 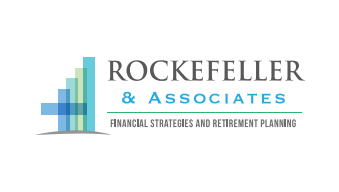 In addition to retirement planning, all the important aspects from asset protection to estate planning need to be addressed with a qualified financial planner. As a physician you actually need three advisors. An accountant, a financial planner and an attorney. So take a minute and congratulate yourself for surviving and still keeping your eye on the ball – helping others. Keep good advisors close to you and let them help you. Any good CEO would.